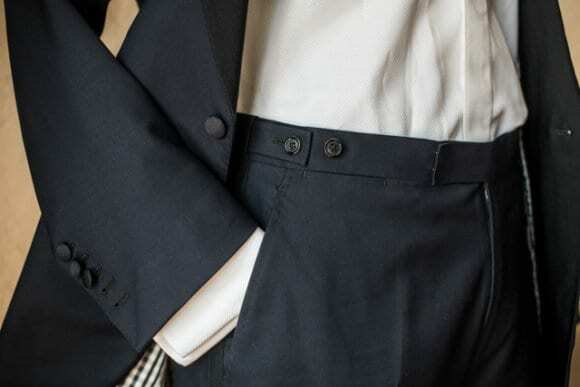 Should you opt for belt in your suit trousers or no? There are different school of thoughts in this topic. A traditionalist would strongly say with full confidence “YES” while a fresh new graduate would consider belt to be optional. There isn’t a right or wrong answer to this question. There is some guidelines and occasion to when to wear a belt and when to skip it. Belts are common men’s accessory when dressing up in a suit nowadays. But it wasn’t back in early 20th century. 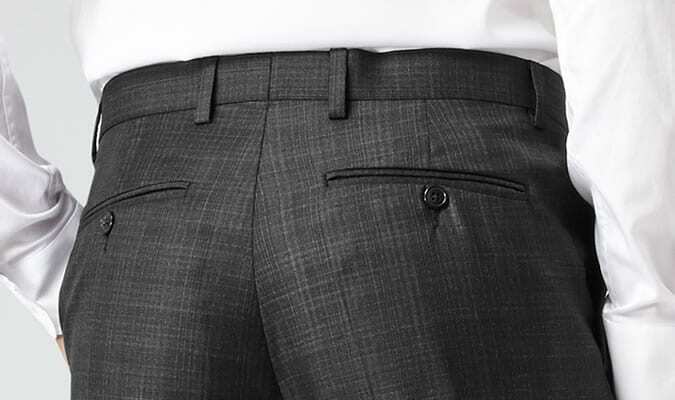 Back then suits didn’t have belts but rather had pull-tabs or side adjusters on the waistband to accommodate any minor fluctuation in weight. Suspenders were used when a little extra lift was needed. It wasn’t until suits went into mass production with standardized sizing and off-the-rack shopping that belt loops were introduced. Over time, the belt had become an acceptable office standard. Rules dictated that the belt should match or complement the shoes and be streamlined in design. So you wear your suit with a belt, and that’s totally fine if it’s used as an accessory to complete your look. 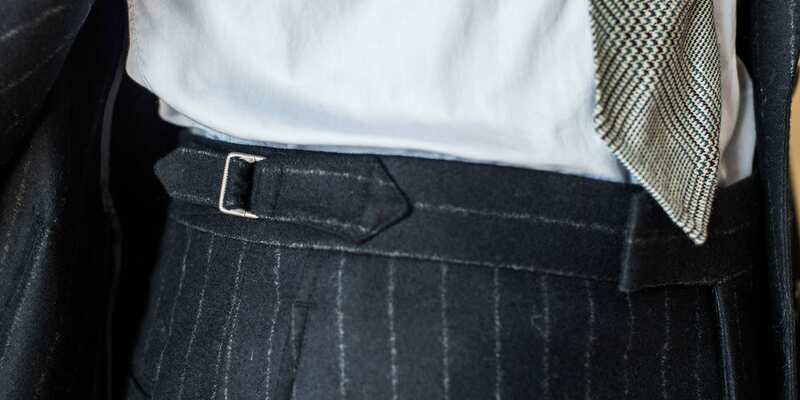 But when you have a perfectly tailored bespoke suit, the belt should not act as a item to keep your pants sliding off. Rather it should be an accessory that enhance the look. A rule of thumb is the more formal the occasion is, the less likely the belt is needed. That’s is why you never see a belt in tuxedos or black tie suit. So if there is no belt, opt for button side tabs or metal side adjuster like below. At the end of the day, it comes down to the belt loops. If you’ve got them, you should use them. If no loops are present, mystery solved. Keep in mind that regardless of belt choice, your pants should be tailored to fit your body. A belt holding up too-big balloon trousers looks sloppy. If you’re opting for a belt even occasionally, remember that it’s an accessory, not a necessity. And if it’s an option in your wardrobe, going beltless ensures a cleaner, leaner, more streamlined silhouette that will set you apart in the best way. And without belt, you need not worry about matching your shoes color and design with your belt.